Located next to NCP car park on Watson Street. 5 mins Walking distance from Tram stops at central library and Gmex. occasion and caters for all parties big & small. vegetarian menu, vegan, wheat free, gluten free and Halal optionsavailable, all cooked with reduced salt, less fat and no added MSG. Ocean Treasure offers the perfect choice for today's health conscious consumer! A stir fry of finely chopped vegetables with a sprinkling of nuts, served with crispy iceberg lettuce... beautiful! If you can't make up your mind what to start with, then this one's for you... Variety and Quality, It'll be right up your street! This is the definitive 'Prawn Sandwich' version of the Classic Chicken Lettuce Wrap. Finely diced Seafood with Chopped Vegetables stir fried with a savoury XO Sauce*, served with Crispy Iceberg Lettuce Leaves. A magical collection of textures and tastes, hot and cold... Yummy! 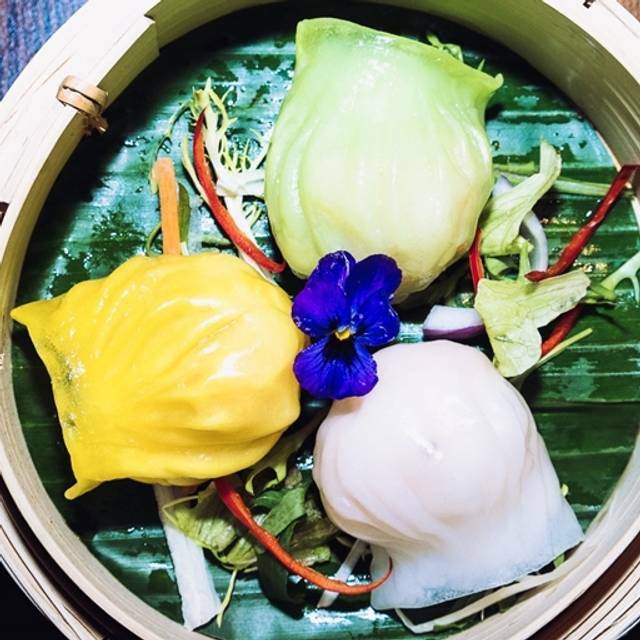 Fresh Scallop in a shell, steamed to perfection with a healthy topping of Garlic and Glass Vermicelli, finished off with a touch of Soy Sauce. Vampires exit stage right! Crabmeat, minced Chicken and Prawn wrapped in rolls of wafer thin Seaweed, served with a karate kicking Wasabi and Soy Dip... Ah so tasty! Minced King Prawns wrapped in a featherlite Rice Paper dusted with 'Snowflakes' then deep fried to perfection. Served with a Salad Cream Dip. Stunning! An all time classic, say no more, available with the usual trimmings of Hoi Sin, Cucumber, Spring Onions and Pancakes. Donald came up trumps with this one! Literally translated means 'Stuffed Three Treasures.' Green Peppers, Aubergines and Beancurd are stuffed with minced King Prawns and lightly grilled. A healthy portion of Blackbean Sauce is then drizzled on top. Three Tr23sures... more like Three Pl23sures! Prime Fillet Steak cubes, marinated with Japanese Teriyaki Soy Sauce, stir fried with Onions, Peppers and Mushrooms, finished off with a sprinkling of Sesame Seeds, guaranteed to melt in your mouth... Elvis' favourite 'cos he "Loved it Tender." From the made up village of Fricken, deep in the heart of Szechuan, this flaming fiery special is Fricken Hot! Worthy of it's 5 Chilli rating and not for the feint hearted. Chinese Leaves and Beansprouts provide the hot bed base, covered with Slow Cooked Chicken and finished with lashings of stock containing extra hot Fried Chilli and Crushed Garlic. Water and Fire Extinguishers at the ready... Go on I dare you! Tender pieces of Chicken Breast, dusted with a delightful light flour, deep fried to perfection, then topped with a tangtastically zesty lemon sauce. "The Lemon Chicken is really good brother Gus!" "Los Pollos de Limón son muy bueno hermano Gus!" Whole Dover Sole, carefully filleted into bite size pieces, Stir Fried in a Spicy XO Sauce* together with market fresh Asparagus, then served on the Deep Fried bone of the Sole... Stunning! Salmon Fillet marinated in a sweet, savoury Japanese Teriyaki Sauce, grilled to perfection, then served on a 'raft' of Asparagus (or if unavailable, Chinese Seasonal Greens), finished with a sprinkling of Sesame Seeds. High in taste, you'll get high on the flaky texture and high in Omega 3...with a massive 4 'Yes's' Ocean's got talent!! Not to be outdone, Simon's creation is a superior version: Asparagus, Minced Scallops, King Prawns and Squid together with XO Sauce* are tossed (by our wonderful tossers in the kitchen), producing a frenzy of taste, Simon says it's Simply, Superbly, Sublime! Created by JHK himself: Scallops, Squid and King Prawns stir fried with market fresh Asparagus in XO Sauce* served in a Clay Pot on a bed of Glass Vermicelli. Oceans of flavour with a wonderful combination of tastes and textures. Sea for yourself, you'll shorely love it! We've chosen eleven of Ocean Tr23sure's sizzlers for you to share! Everyone's a winner! With the sad demise of Woolworths, we Chinese can only say 'No worries, Never mind! Yu cleate yor own pik'n'mix?! Choose one of the following Sauces/ Vegetables. If what you want is not listed, please ask and if we have it... you got it! The restaurant itself is in the same building as the Peaky Blinders bar. This did make the restaurant slightly noisy as you could hear the live music however the music itself was very good so we didn't mind hearing it at all ! We had an amazing experience at Ocean Treasure for my mums 70th birthday celebration. Loved the combination of the Peaky Blinders bar with the live music. 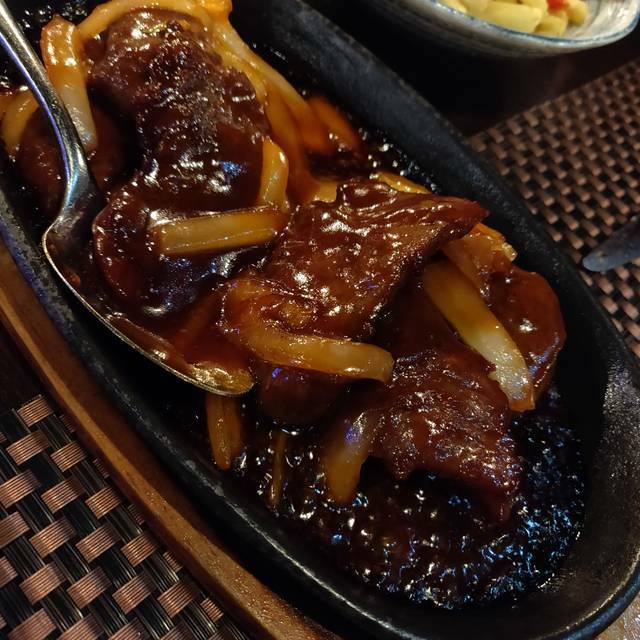 The service was excellent and the food was the best Chinese dishes we have had in a long time, was quite pricey but worth it for special occasion. Would definitely recommend. After reading several good reviews for this restaurant we were looking forward to a great meal. We were very disappointed. Food was very average and definitely overpriced. Staff seemed to have no interest in us whatsoever, and I can’t remember any of them even smiling as they served us our food. Certainly, we were not asked at any point whether we were enjoying our meal. We knew from other reviews that the restaurant overlooked a busy bar and there may well be live music playing, but I didn’t expect it to be quite as loud and raucous. We could barely hear one another speak! We dined at 8.00pm and the restaurant was not at all busy, perhaps because of some of the reasons I’ve mentioned. Good food, large portions but quite expensive. Noisy so not for a romantic dinner. Need to keep toilets tidy. Food was exceptional, cooked to absolute perfection, highly recommend any seafood off the menu. Staff were also very friendly and hospitable, and the interior design was beautiful. 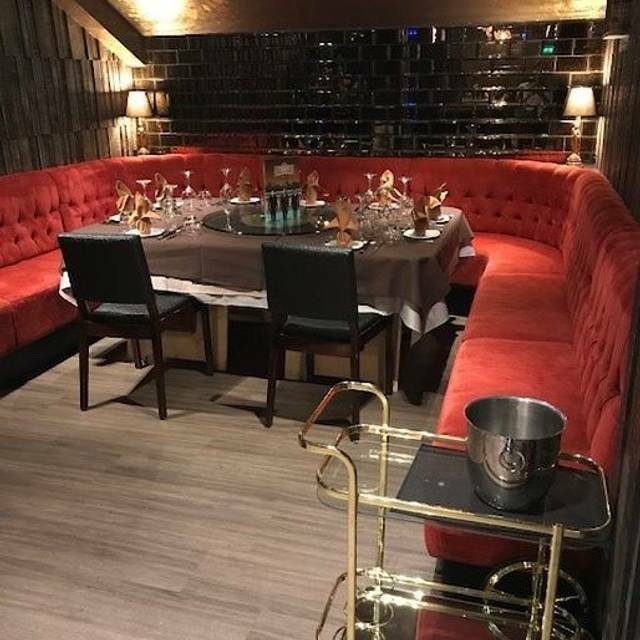 It is however open to the elements of the popular Peaky Blinders Bar which it sits above, so don’t expect a blissfully quiet meal. This was no issue really as we were seated away from the noise. Noise is there but not overwhelming. Would definitely go again! Not obvious as to where restaurant is as within pub Peaky Blinders and no signage outside nor inside. Once located it has opulent decor and warm welcome from host. Serving staff were attentive to start and then they forgot about our main courses we weren’t overly fussed as the live music was good. Food is amazing quality, quantity and taste second to none. It’s wasn’t very easy to find that was the only bad point. There were no signs in the street so it wasn’t very clear you had to go inside and upstairs in the Peaky Blinders bar. Food and service was excellent but abit too over priced! Food was average, I've had better food from local Chinese takeaways also due to bar being on ground floor. It was pretty loud. However service was good and also restaurant ambiance was nice. It was more expensive than any other chinese restaurant but the food and service was excellent. Also it was a special occasion sowe felt it was justified. Absolutely fantastic food!! We all said it’s the best Chinese meal we have had in a long time! And we’ve been to so many Chinese restaurants! We will be back soon! While the service was good and the waiters very professional, the food itself left a lot to be desired. Expected much better, particularly for the price. Of the 5 main dishes we ordered, only 1 was deemed satisfactory by our table of 5. The staff were amaZing nothing was too much trouble. This place is a real find! Outstanding food, service & atmosphere! Very nice food, so good value. Would highly recommend. The venue is quite remarkable once inside as you wouldn’t expect it to look that way from the street. The staff are lovely and friendly and the service is very professional. Unfortunately the food is average at best. The soft shell crab was drenched in oil and the batter was too thick. It tastes like a deep fried fish from a chippy in over used oil. The duck was average. As was the pagoda style chicken. The cubed beef was nice and tender and enjoyable but overall very disappointing considering it’s a family run business that’s been around for years. For what we had extremely overpriced. We’ve had far more tasty and affordable experiences in Chinatown. Excelent ambient . Good food and great atmosphere . Everything was served in a very professional manner and in time. Really enjoyable meal. Great service, and the food is amazing!! Thanks. The new Ocean Treasure overwhelms you with a luxurious warm ambiance! Service is outstanding and so is the food. Already looking forward to my next visit! Excellent service and very friendly staff! Highly reccommend 23 Ocean Treasure to anyone who loves Chinese food. Manager was very welcoming! The best tasting Chinese i have had in a long time, the staff were all very friendly and couldn’t do enough for you. Would definately recommend. We booked here because we found it was next door to The Albert Hall where me & my husband was going seeing simple minds plus it was Valentine's Day. We did really enjoy it the food was lovely and our waiter was so lovely we had a laugh with him. They made us feel so welcome. If where ever over that way again will deffinately have to go again. Ocean treasure food was lovely,Bit pricier than I thought would be as was only coming for a little lunch but the food was absoulutely flawless,you could see it was all cooked fresh in from of your eyes,the place was very clean and the waiters was lovely. As usual our visit was not disappointing! Great staff, amazing food, incredible ambiance. My favourite Chinese Restaurant in Manchester. If you’re around, ask for Cindy, she is fantastic! Food was really good and tasty but experience let down by overall poor service. Waiter had really bad attitude and just acted like taking an order was beneath him. The waiter that served the food was marginally better but once our main course food was cleared, we were left to sit for nearly an hour without dessert menu arriving, checking if we needed more drinks or the bill. Pretty rubbish really - can see why it was half empty on a saturday night. Such a shame. 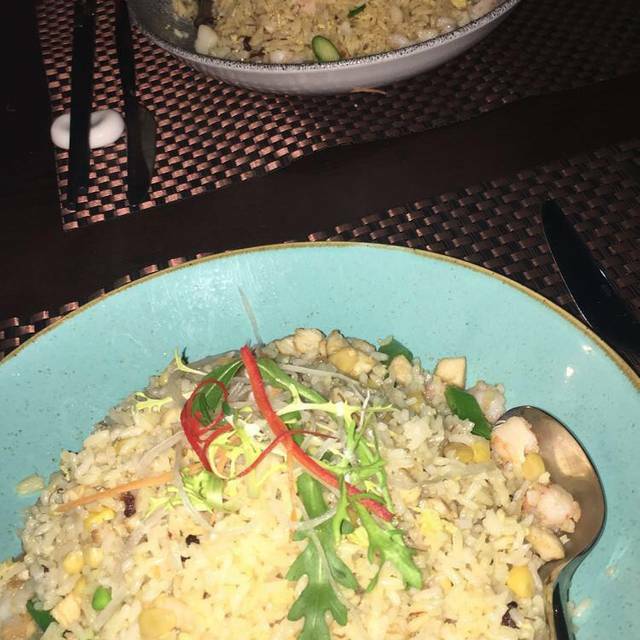 Absolute outstanding food and location, restaurant just moved to New location, food is the most enjoyable and beautiful presented Chinese meal we have eaten. Took my daughter's after a theatre Show, and we all enjoyed so much. 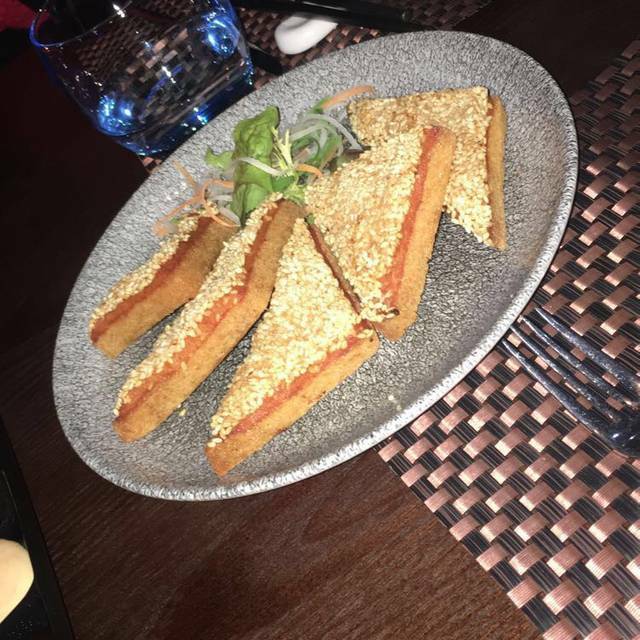 We eat regularly in manchester it is only Chinese restaurant we shall use from now on, i highly recommend this restaurant, the staff and owner were very helpful explaining the dishes and ensured all our needs were met promptly, excellent food. Excellent staff. Beautiful restaurant. Dont miss this restaurant when you visit manchester. Me and my wife Chose to eat here New Year’s Eve so we were not to far from Manchester town hall for the fireworks. Not easy to find, as we ended up asking a few times until one of the door men showed us where to go. Down stairs was a very busy bar/club but upstairs where the restaurant was, was a lot quieter , even with the music in the background. The variety of food on offer was great and seemed to cater for all different tastes. While we did not chose one of the banquet meals, the other choices did not disappoint and we had more than enough to eat and the quality and service were spot on. The price was a bit more than what we would nornmally pay, but for a special occasion or just wanting something different it was worth the money.